It is with a heavy heart I report that the hoops legend subject of this story, Bob Boozer, passed away May 19. As fate had it, I had a recent encounter with Boozer that ended up informing a story I was working on about comedian Bill Cosby. Photographer Marlon Wright and I were in Cosby’s dressing room May 6 when Boozer appeared with a pie in hand for the comedian. As my story explains, the two went way back, as did the tradition of Boozer bringing his friend the pie. You can find that story on this blog and get a glimpse through it of the warm regard the two men had for each other. For younger readers who may not know the Boozer name, he was one of the best college players ever and a very good pro. He had the distinction of playing in the NCAA Tournament, being a gold medal Olympian, and winning an NBA title. 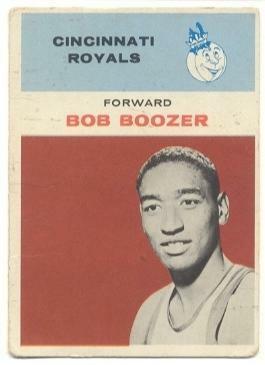 Unless you’re a real student of basketball history, chances are the name Bob Boozer doesn’t exactly resonate for you. But it should. The Omaha native is arguably the best basketball player to ever come out of Nebraska and when he decided to spurn the University of Nebraska for Kansas State, it was most definitely the Huskers’ loss and the Wildcats’ gain. At KSU Boozer became an All-American big man who put up the kind of sick numbers that should make him a household name today. But he starred in college more than 50 years ago, and while KSU was a national power neither the team nor Boozer ever captured the imagination of the country the way, say, Cincinnati and Oscar Robertson did in the same era. But hoop experts knew Boozer was a rare talent, and he proved it by making the U.S. Olympic team, the orignal Dream Team, that he helped capture gold in Rome. And in a solid, if not spectacular NBA career he made All-Pro and capped his time in the league as the 6th man for the Milwaukee Buck’s only title. Boozer retired relatively young and unlike many athletes he prepared for life after sports by working off-seasons in the corporate world, where he landed back in his hometown after leaving the game. If you look at the body of his work in college, he should be a sure fire college basketball hall of fame inductee, but somehow he’s been kept out of that much deserved and long overdue honor. The fact that he helped the U.S. win Olympic gold and also earned an NBA title ring puts him in rare company and makes a pretty strong case for NBA Hall of Fame consideration. Some measure of validation happened this week when the 1960 Olympic team was enshrined in the Naismith Memorial Basketball Hall of Fame. Omahan Bob Boozer chartered a bus to Manhattan for a February 5 engagement with immortality. By the way, that’s Manhattan, Kansas, where 50 of his closest friends and family members joined him to see his jersey retired at half-time of the Kansas State men’s basketball game. In case you didn’t know, Boozer is a Wildcat hoops legend. In the late-1950s, he was a dominant big man there. In each of his three years, he was first team all-conference. He was twice a concensus first-team All-American. And that doesn’t even speak to his elite-level AAU play, his winning an Olympic gold medal on the original “Dream Team” and his solid NBA career capped by a championship. Unless you’re a serious student of the game or of a certain age, the name Bob Boozer may only be familiar as one adorning a road in his hometown. But, in his time, he was the real deal. He had some serious game. 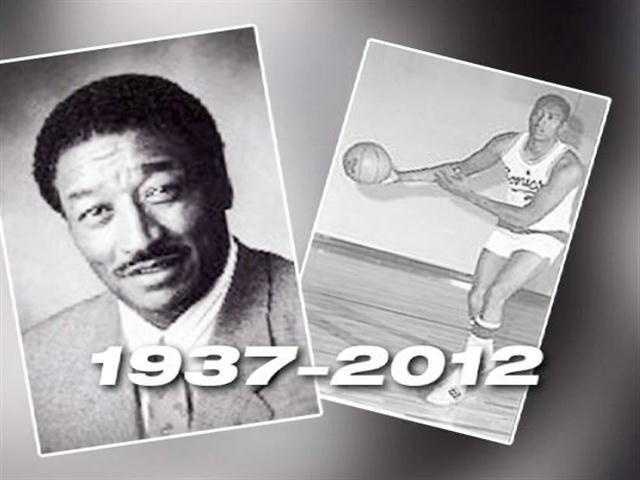 He overwhelmed opponents as an all-everything pivot man at Omaha Technical High from 1952-55, earned national accolades as a high-scoring, fierce-rebounding forward at K-State from 1955-59, led an AAU squad to a title, played on the legendary 1960 U.S. Olympic basketball squad and was a member of the 1971 NBA champion Milwaukee Bucks. It’s a resume few can rival. “There’s very few guys that really had it all every step of the way, like I did. All City. All State. All Conference. All-American. Olympic gold medal. NBA world championship. Those are levels everybody would like to aspire to but very few have the opportunity,” he said. He is, arguably, the best player not in the college hoops hall of fame. He is, by the way, in the Olympic Hall of Fame. His collegiate credentials are unquestionable. Take this career line with the Wildcats: 22 points and 10 rebounds a game. 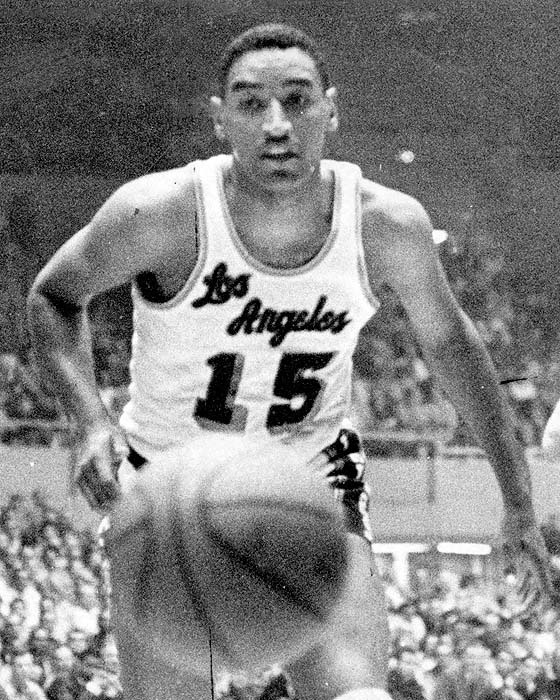 And this came versus top-flight competition, including a giant named Wilt at arch-rival Kansas, when K-State contended for the national title every year. If anything, the Feb. 5 tribute is long overdue. The pinnacle is where Boozer dreamed of being. His Olympic experience fulfilled a dream from his days at the old North YMCA, mere blocks from his childhood home at 25th and Erskine. Then, he reached the pinnacle of his sport in the NBA. A starter most of his pro career, he was a productive journeyman who could be counted on for double figures in points and rebounds most nights. His career NBA averages are 14.8 points and 8.1 rebounds a game. The 6’8 Boozer played in the ‘68 NBA All-Star game, an honor he just missed other years. He led the Chicago Bulls in scoring over a three-year period. He was the Bucks’ valuable 6th man in their title run. Still, he was more a role player than a leading man. His game, like his demeanor, was steady, not sensational. He was, in his own words, “a blue-collar worker.” He could shoot like few other men his size, utilizing deadly jumpers and hook shots. “I was a good player. I would make you pay if you made a mistake. I could move out for the jump shot and the hook shot or make a quick move for a layup,” he said. While he admires the athleticism of today’s players, he doesn’t think much of their basic skills. He perfected his shot to such a degree that in practice he could find his favorite spots on the court and nail the ball through the hoop with his eyes closed. “It’s just something that with thousands and thousands of repetitions gets to be automatic. And when I shot I always used to try to finger the ball for the seams and to swish it because if the ball left my hand with a backward rotation and went through the net, it would hit the floor and come right back to you. That way, when you’re shooting by yourself, you don’t have to run after the ball very much,” he said, chortling with his booming bass voice. Unlike many players who hang around past their peak, once Boozer captured that coveted and elusive ring, he left the game. Indeed, he left without seeking a coaching or front office position. The championship was made sweeter as he shared it with an old pal, Oscar Robertson. As players, they were rivals, teammates and friends. Both were college All-Americans for national championship contending teams. As a junior, Boozer and his KSU Wildcats eliminated “The Big O” and his Cincinnati Bearcats from the 1957-58 NCAA quarterfinals. The next year Robertson turned the tables on Boozer by knocking the No. 1-ranked ‘Cats out of the regionals. The two were teammates on the 1960 US Olympic basketball team, considered by many the best amateur basketball talent ever assembled. Besides Boozer and Robertson, the team featured future NBA stars Jerry West, Jerry Lucas and Walt Bellamy. It destroyed all comers at the Rome games, winning by an average margin of 34-plus. Then Boozer and Robertson were reunited with the Cincinnati Royals. Cincy was the site of some fat times for Boozer, who was popular and productive there. It’s also where he met his wife, Ella. The couple has one grown child and one grandchild. After a trade to the New York Knicks that he protested, Boozer bounced around the league. He played a few years with the expansion Chicago Bulls, where he enjoyed his biggest scoring seasons — averaging about 20 points a game. He led the Bulls to the playoffs in their inaugural season — the first and last time a first-year expansion team did that. He had one happy season with the Los Angeles Lakers, spelling the great Elgin Baylor, before he joined Robertson in Milwaukee. With the incomparable Kareem Abdul-Jabbar at center, smooth Bob Dandridge at forward, playmaker Robertson at guard and the steady Boozer coming off the bench (he averaged 9 points and 5 boards), the Bucks, in only their second year, blew away opponents en route to a 66-16 regular season mark. They captured the franchise’s first and only championship by sweeping the Baltimore Bullets in four games. By then, Boozer was 34 and a veteran of 11 NBA seasons with five different teams. He left the league and his then-lofty $100,000 salary to build a successful career off the court with the former Northwestern Bell-US West, now called Qwest. Now retired from the communications giant, the 67-year-old Boozer enjoys a comfortable life with Ella in their spacious, richly adorned Pacific Heights home in Omaha, a showplace he refers to as “the fruits of my labor.” He moves stiffly from the wear and tear his body endured on the hardcourt those many years. His inflamed knee joints ache. But he recently found some relief after getting a painful hip replaced. With his sports legacy secured and his private life well-ordered, his life appears to have been one cozy ride. Viewed more closely, his journey included some trying times, not least of which was to be denied the chance to buy a home in some of Omaha’s posher neighborhoods during the late 1960s. The racism he encountered made him angry for a long time, but in the end he made peace with his hometown. Boozer grew up poor in north Omaha, the only son of transplanted Southerners. His father worked the production line and cleanup crew at Armour’s Packinghouse. His mother toiled as a maid at the old Hill Hotel downtown. Neither got past the 9th grade and these “God-fearing, very strict” folks made sure Bob and his older sister understood school was a priority. No prodigy, Boozer made himself into a player. That meant long hours at the YMCA, on playgrounds and in school gyms. His development was aided by the stiff competition he found and the fine coaching he received. He came along at a time when north Omaha was a hotbed of physical talent, iron will and burning desire. Athletics then, like now, were not merely a contest but a means of self-expression and self-advancement. Boozer was part of an elite lineage of black athletes who came out of north Omaha to make their mark. Growing up amid this athletic renaissance, he emulated the older athletes he saw in action, eventually placing himself under the tutelage of athletes like Bob Gibson — or “Gibby” as Boozer calls his lifelong friend, who is a year his senior. They were teammates one year each with the Y Travelers and at Tech. By the time Boozer played for Tech coach Neal Mosser, he was a 6’2” forward with plenty of promise but not yet an impact player. No one could foresee what happened next. 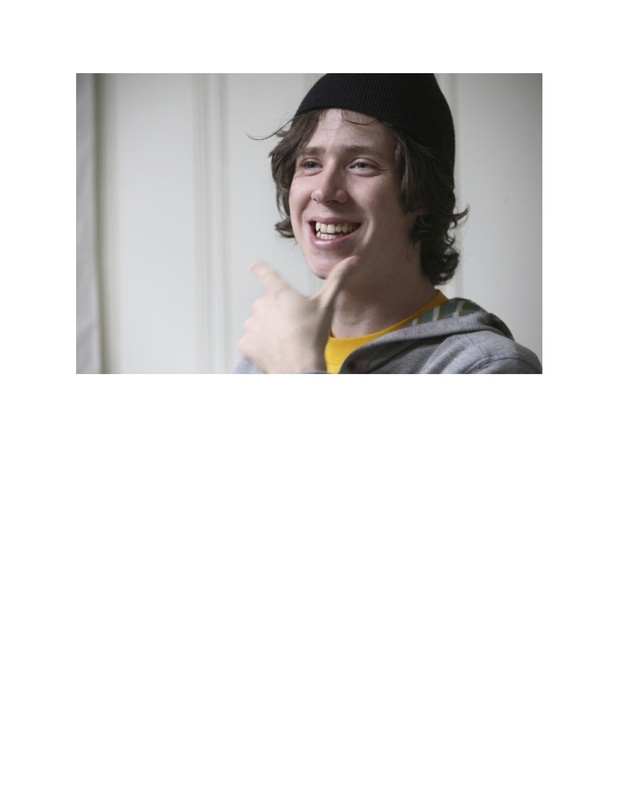 “Between my sophomore and junior years I grew six inches. With that extra six inches I couldn’t walk, chew gum and cross the street at the same time without tripping,” Boozer said. “That’s when I enlisted my friends, Lonnie McIntosh and John Nared, to help me. Lonnie, a teammate of mine at Tech, was a physical fitness buff, and John, who later played at Central, was probably one of the finest athletes to ever come out of Omaha. By his junior season Boozer was an imposing force — a big man with little-man skills. He could not only post-up down low to score, rebound and block shots, he could also shoot from outside, drive the lane and run the floor. With Boozer in the middle and a talented supporting cast around him, Tech was a powerhouse comprised mainly of black starters when that was rare. Then came the state tournament in Lincoln, and the bitterness of racism was brought home to Boozer and his mates. “We had the state championship taken away from us in 1955. We played Scottsbluff. We figured we were the better team. I was playing center and I literally had guys hanging on me. The referees wouldn’t call a foul. I’d say, ‘Ref, why don‚t you call a foul?‚ and all I heard was, ‘Shut up and play ball,’ he said. “On one play, Lonnie McIntosh stole the ball and was dribbling down the sideline when one of their guys stuck his foot out and tripped him. There was Lonnie sprawled out on the floor and the referee called traveling and gave the ball to Scottsbluff. I will never forget that. Tech lost the game on the scoreboard but Boozer said players from that Scottsbluff team have since come up to him and admitted the injustice done that day. “It’s a little late,” he tells them. According to Boozer, Tech bore the brunt of discrimination in what should have been color-blind competition. “Tech High always used to get the shaft, particularly in the state tournament.” He said Mosser, whom he regards as one of Nebraska’s finest coaches, helped him deal with “the sting of racism” by instilling a certain steeliness. That credo was tested when Boozer became a hot recruit his senior year but was rejected by his top choice, the University of Iowa. Kansas was in the running until Wilt Chamberlain signed to play there. Boozer settled on Kansas State, where he made a name for himself and the Wildcats. Under coach Tex Winter, Boozer was the go-to-guy in the triangle post, an offense made famous years later by Michael Jordan and the Chicago Bulls. During his three-year varsity career, the Cats went 62-15 and won two Big Eight titles. Boozer was unstoppable. His 25.6 scoring average as a senior remains a single-season record. He ranks among KSU’s all-time leaders in points and boards. In a famous 1958 duel for league, intrastate and national bragging rights, he led a 75-73 double overtime win over Wilt Chamberlain and KU in Manhattan. He outscored Wilt 32 to 25. After his banner senior year the NBA came calling, with the Cincinnati Royals making Boozer the No. 1 overall draft pick, but Boozer had other ideas. To stay sharp he played a year with the Peoria Cats of the now-defunct National Industrial Basketball League, an AAU-sanctioned developmental league not unlike today’s CBA or NBDL. Boozer worked at the Caterpillar Tractor Co. by day and played ball at night. He led his team to the NIBL title, which qualified the team and its players to showcase their talents at the Olympic Trials in Denver. Boozer and a teammate made the grade. The Rome Olympics are still among his personal highlights. Even after entering the NBA, Boozer honed his game in the off-season back home with John Nared in one-on-one duels at the Y. “If he could guard me, as small and quick as I was, he could guard anybody in the NBA,” Nared said. Boozer found pro ball no longer just a game but a business, too. He weathered unwanted trades and salary disputes. There were compensations, of course. He played the game he loved with the best players in the world. He made good money, if only a fraction of what today’s players make. And he made close friends. Some of his fondest memories are of he and Oscar Robertson winding down after games. Boozer prepared for post-hoops life years before he retired by participating in a summer management training program with the phone company. By the time he quit playing ball, he had a job and career waiting. In 1997, he retired after 27 years as a community affairs executive and federal lobbyist with the communications company. Restless in retirement, he accepted an appointment that year from then-Gov. Ben Nelson to the Nebraska Parole Board. Gov. Mike Johanns reappointed him to a new six-year term running through 2006. Boozer enjoys his work. Boozer’s not just any ex-athlete. He’s an immortal.